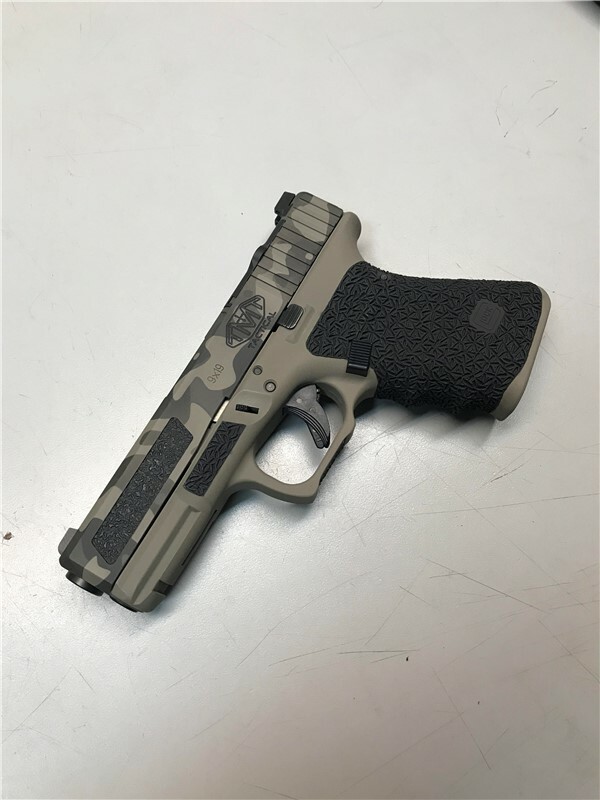 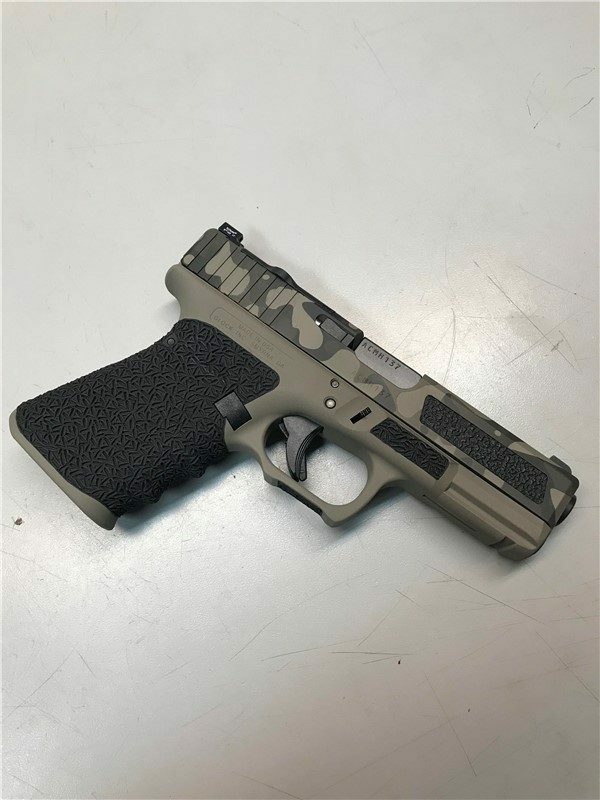 A new twist to our traditional Mod Pack, this GEN 4 Glock 19 sports an attractive FDE camouflage slide. 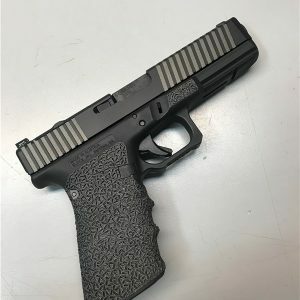 The slide itself has been beveled in the front, extended rear cocking serrations added, a check press pad added, and the classic TMT American Flag engraved on the top of the slide. 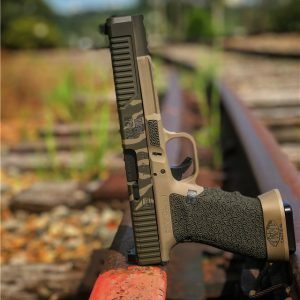 The gun comes equipped with Trijicon HD sights, as well as a cut for a Trijicon RMR. 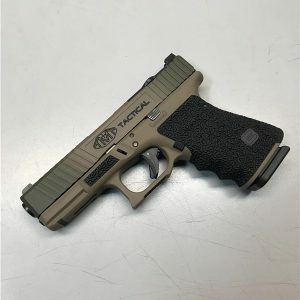 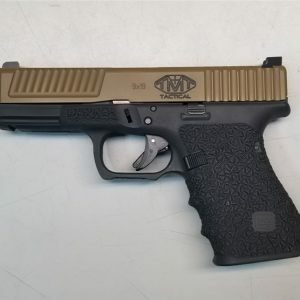 The frame is beautifully hand stippled, and offers a reduced (epoxy-filled) backstrap, and a rounded weak-hand trigger guard. 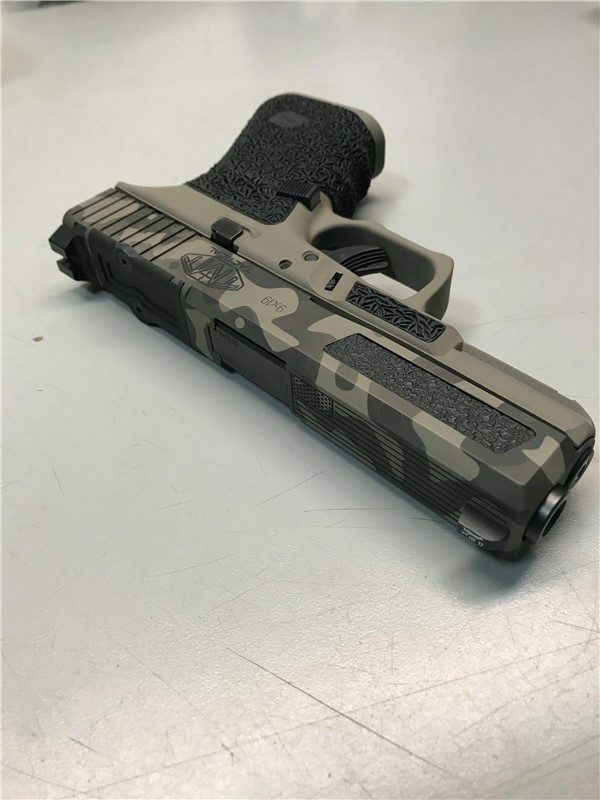 The trigger has also had work done to it.